Beyond just the U.S., customers in Australia, Canada, Germany, Japan, and the UK can take advantage of the one-time 10 percent bonus offer to add funds and get the bonus. 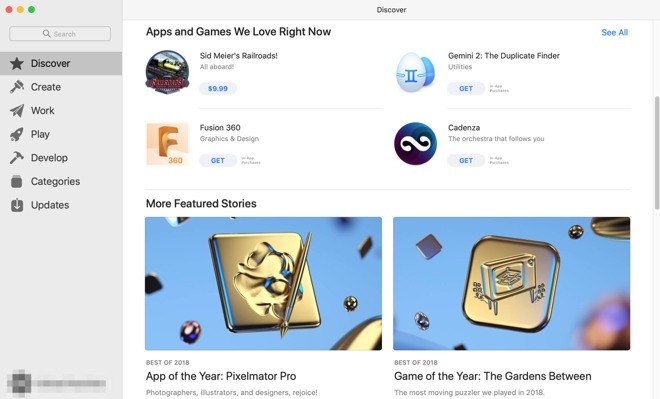 Anything that is billed to an iTunes account can be funded by the addition, including Apple Music, Apple Books, regular app subscriptions, iCloud fees, and more. Up to $200 can be added in the one transaction, awarding a $20 bonus. 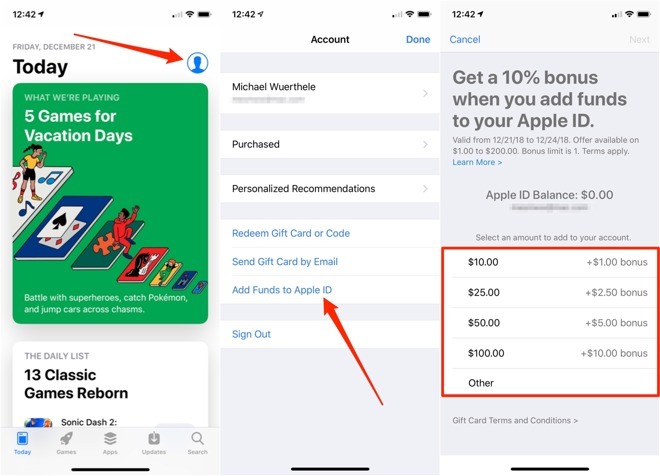 The bonus does not apply to adding a gift card balance to your Apple ID account. To get the bonus on the iPhone, tap on the App Store icon, then tap on your account icon on the top of the screen. Tap in the Add Funds to Apple ID button, select an amount, tap Next and authenticate the purchase as appropriate for your device and security settings. The first offer was through December 20. It was then nearly immediately extended to December 24, and encompassed customers outside the US. The bonus is 15% in Australia. 10% here in the UK. Which is the typical discount on iTunes Gift Cards, when they're discounted these days. I should get me some of that. Shouldn't that be something like 'The bonus does not apply to adding to a gift card balance in your Apple ID account'? The equivalent or nearly so of 'new subscribers only'? You don't get the bonus if you're adding a gift card to the Apple ID balance. Also, the Apple ID account doesn't have to have a zero balance for the bonus.